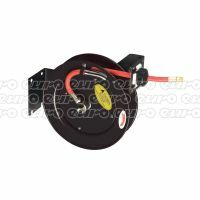 Using air-powered tools means you need to keep connected to an air source, and with a retractable air hose reel, you can expand your working surface area more easily. 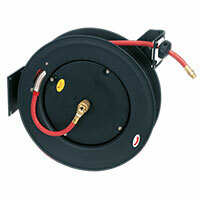 Browse our range of retractable air hose reels today. 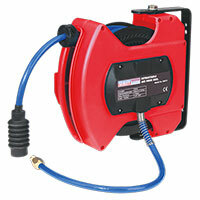 Keep your air hose neat, tidy and safely stored with a retractable air hose reel. 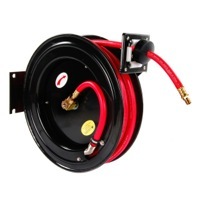  Not only do these accessories help to make sure your air hose doesn’t experience any unnecessary (and frustrating) damage, it also means you have the instant functionality to move around while working, without having to compromise a connection. 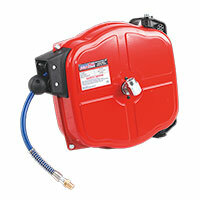 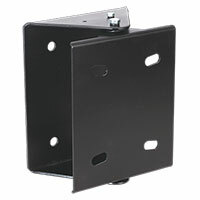 The air hose reels are also excellent for saving space when storing your equipment away. 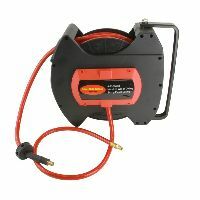 With a reel, you have the option to hang your air hose up on a garage wall, freeing up floor space, or neatly tuck it away in a corner, where it won’t hinder you as you go about other DIY tasks. 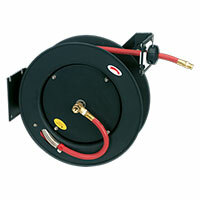 Browse our full range of retractable air hoses below, and don’t hesitate to get in touch with us if you have any queries about our range. 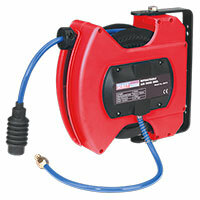 Don’t forget to make the most of our free UK delivery and free click and collect service too!